Las Vegas – NAB 2017, Booth #SU2806 – Net Insight, the leading provider of live, interactive and on-demand media transport, today unveiled its latest expansion of the Connector Marketplace. The marketplace grew by 700 percent during 2016 and is now expanding to include cloud-based media production services. 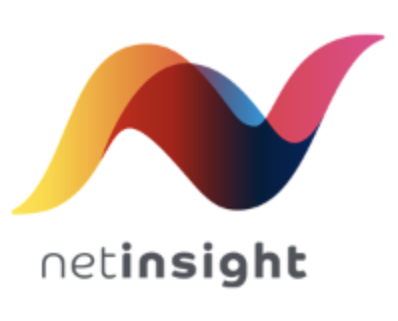 Net Insight will enable cloud-service providers to offer services to the Connector Community along the media production chain such as transcoding and encoding, graphics insertion and live-streaming. As media production tools are increasingly offered as cloud-based software services, more and more of media production is moving to the cloud. Net Insight’s ScheduALL, paired with the Connector Marketplace, offers the unique capability for media companies to seamlessly combine existing in-house workflows with external services. Through integrated billing, utilizing an external resource or service becomes as simple as using an internal one. The Connector Marketplace follows Net Insight’s release of the Connector Community at IBC 2016 and is the next step in the company’s vision of a Global Media Marketplace. Participants of the Connector Community to date can book and sell satellite and terrestrial contribution services. The platform is available to more than 600 professional media installations of ScheduALL across the globe including some of the world’s largest broadcasters. Multiple innovations to address key trends and broadcast industry challenges. PITTSBURGH, PA, April 13, 2017 – (NAB Show 2017, Las Vegas) — Black Box, a world-leading technology solutions provider for high-performance KVM, switching, and professional A/V signal distribution and extension, today announced its plans for NAB 2017 Show, at booth #SL9321, set to take place April 22–27. The company will reveal new products and demonstrations in high-performance KVM technology, post-production, virtualization and video walls. A new KVM extension solution for post-production colorists. A remote production solution to improve connectivity for live broadcasting. InvisaPC: The only IP-based KVM system that enables high-performance and scalable connectivity in both traditional and virtual environments. It provides seamless use of on-site and remote servers while providing access to a virtualized machine with the same single-user interface. ControlBridge: Enables custom and simplified user interfaces to control multiple KVM systems and devices in control rooms. At their booth, Black Box will feature a 12-inch ControlBridge touchscreen monitor using different scenarios. Compact switch: Enables matrix switching and management for DKM extenders. Boxilla: Will be featured with its first integration, InvisaPC. Combined with Boxilla, InvisaPC is the first enterprise-class virtualized KVM solution. The matrix can scale to an unlimited number of devices. Black Box will also announce and demo Boxilla’s new integration at the show. Freedom: A flexible four-port professional-grade switch that allows users to shift between separate computer systems by moving a mouse cursor from monitor to monitor. It can control multiple PCs as one through any mix of operating systems. Radian Video Wall Processor: This video wall can scale to create a multi-window canvas of any size or geometry for TV newsroom sets, and includes support for all video interfaces, IP-based video and multiple video walls. Black Box will use Radian at NAB to feature a newscast. Black Box will also demo a post-production solution for colorists using DKM extension products, which support the high demand and bandwidth for colorists’ unique applications. John Hickey, senior director of KVM business for Black Box, will speak at “Virtualization in Broadcast: Virtual Machines Can Reinvent Global TV Production” Saturday, April 22, at 1:30 p.m. in room N256 in the north hall. Black Box will also hand out “Control Freak” mugs at the booth. 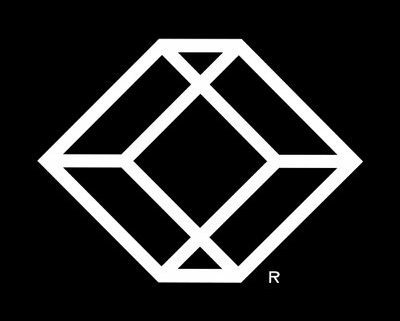 Visit BlackBox.com for more information. Black Box is a leading digital solutions provider dedicated to helping customers build, manage, optimize and secure their IT infrastructure. Black Box delivers high-value products and services through its global presence and more than 3,500 team members. To learn more, visit the Black Box Web site at https://www.blackbox.com. CHESEAUX, Switzerland and LONDON, UK – March 23, 2017 – How will leading pay-TV service providers respond to changing consumer demand and expectations? How can advanced data and analytics enable pay-TV service providers to better serve their customers? What growth prospects lie ahead and how can pay-TV service providers, content owners and the studios work together to best leverage opportunities? 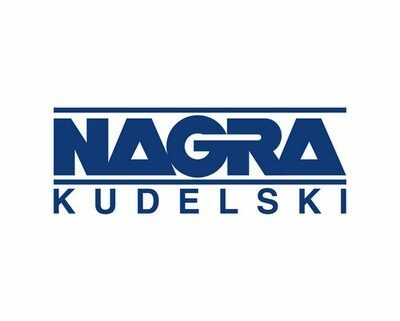 NAGRA, a Kudelski Group (SIX:KUD.S) company and the world’s leading independent provider of content protection and multiscreen television solutions, in collaboration with MTM, a leading international research and strategy consultancy, will address these questions and more at a special launch presentation to kick off the 2017 Pay-TV Innovation Forum at TV Connect in London on Wednesday, March 29 at 12.30p.m. The impact of public and private cloud and virtualisation on the development, management and distribution of pay-TV services. Launched in 2016 by NAGRA and MTM, the Pay-TV Innovation Forum is a global research initiative for senior pay-TV executives, designed to explore and catalyse innovation across the pay-TV industry. For more information on the 2017 edition and key programme dates, please visit the Pay-TV Innovation Forum website. NAGRA, the digital TV division of the Kudelski Group (SIX:KUD.S), provides security and multiscreen user experience solutions for the monetization of digital media. The company offers content providers and DTV operators worldwide with secure, open, integrated platforms and applications over broadcast, broadband and mobile platforms, enabling compelling and personalized viewing experiences. Please visit dtv.nagra.com for more information and follow us on Twitter at @nagrakudelski. MTM is a leading international research and strategy consultancy, focused on the media, technology, communications and advertising industries. 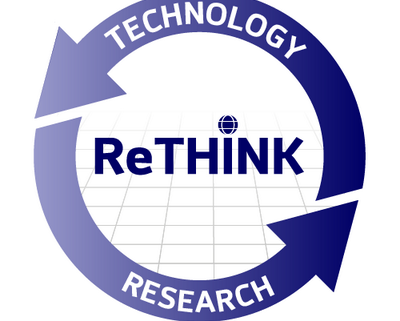 MTM helps companies understand and respond to digitally-driven change, providing award-winning consumer research and industry analysis, strategic advice and support for organizational change. For more information, please visit www.mtmlondon.com or email info@mtmlondon.com. (BERLIN/DENVER, March 1, 2017) Cortado Mobile Solutions, manufacturer of the productivity-enhancing enterprise mobility solution Cortado Corporate Server, today announced the release of the multi-tenant version of its software. Service providers can now create secure and separate areas for individual business customers on a single server, while managing all customer accounts through a centralized management console. The multitenancy capability allows service providers to significantly lower hardware costs and increase efficiency and simplicity in managing devices and apps. Without multitenancy, service providers offering mobile device management (MDM) and mobile application management (MAM) to their customers required a separate server for each business customer for security reasons. The consequences were high hardware costs and complicated setup and management of new customers. With the multi-tenant version of Cortado Corporate Server, service providers can create strictly separate areas for multiple business customers on just one server. Each tenant has their own SQL database and connection to Microsoft’s Active Directory. 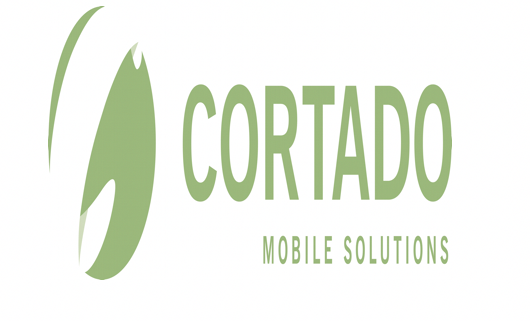 Cortado Mobile Solutions follows the philosophy that working natively delivers the highest levels of user acceptance. So Cortado’s enterprise mobility solution fully supports native app management and instead of focusing on separate storage when it comes to file sharing, enables a direct connection to the corporate network. The result is a significant increase in productivity for mobile employees, improved collaboration among teams as well as convenient management for the IT department. Cortado’s enterprise mobility solution is developed and tested at its headquarters in Berlin, Germany. Also experts in offices in the United States, UK, Australia, Japan, and Brazil, highly qualified consultants at our Berlin location as well as a trained, worldwide network of channel partners provide presence and support to local customers throughout the world. Barcelona & Vienna – 20 February 2017 – DIMOCO today announced it will showcase the latest trends and innovations in carrier billing, mobile messaging and payment services at Mobile World Congress 2017 in Barcelona, February 27 to March 2, at the App Planet Hall 8.1, stand #8.1A67. DIMOCO’s 2017 publication of “The Future of Digital Payments in Europe” white paper will, once again, be released at the Mobile World Congress. This white paper provides an essential appraisal of the key trends for both carrier billing and payment services in a rapidly developing marketplace. The publication highlights the primary factors shaping market growth and presents a series of recommendations for current and prospective players across the payments value chain. Show attendees can collect a copy of the publication at the DIMOCO exhibition stand. 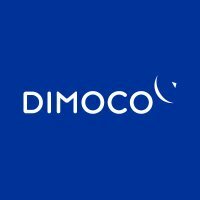 DIMOCO Carrier Billing has a unique position in the industry as one of the first companies to become a regulated payment institute. In compliance with the requirements of the Payment Services Directive (PSD) and the respective EU-regulations, DIMOCO since MWC 2016 attained a payment service act license from the Austrian Financial Market Authority (FMA), which was then passported to all 28 EU member states. Launched in late 2016, DIMOCO Payment Services introduces merchants to a new way of understanding payments and proactively increase their conversions. The innovative payment service provider (PSP), with a strikingly merchant-centric approach, offers tailor-made solutions for merchants, highly adaptable checkout-pages, risk- and fraud-management tools and dynamic reporting. The state-of-the-art platform is expandable and easy to integrate, aiming to proactively increase success rates through constant and personal monitoring of all transactions. DIMOCO Messaging powers communications between companies and consumers through their preferred SMS channel. The company will feature its new carrier-grade messaging platform with advanced capabilities at this year’s Mobile World Congress. The geo-redundant platform supports multiple protocols and interfaces, including powerful features necessary to support businesses in transmitting mission-critical and time-sensitive messages ranging from financial services to retail, healthcare to advertising and much more. The new messaging platform continues to deliver the highest standards of security and reliability while combining state-of-the-art APIs helping to reduce the complexity of sending text messages worldwide and improve customer experience. Mobile World Congress attendees are encouraged to book an appointment and visit the DIMOCO exhibition stand to speak to the DIMOCO team to learn more about the three DIMOCO business entities. DIMOCO unites three business entities under one umbrella brand – DIMOCO Carrier Billing, DIMOCO Messaging and DIMOCO Payment Services. PITTSBURGH, PA, February 7, 2017) – (Integrated Systems Europe 2017, Amsterdam) – Black Box, a world leading technology solutions provider of high-performance KVM, professional A/V signal distribution and extension and switching solutions, today unveiled Boxilla, a premier enterprise-level KVM and AV/IT system management platform, featuring a comprehensive and centralized command center, which provides unparalleled performance, ease of use and security. KVM and AV/IT system management professionals face increasing complexity associated with diverse infrastructures and multiple types of end points including physical or virtual machines, applications and networks. Boxilla’s comprehensive ability to manage high-performance KVM, KVM over IP, virtualized end-points, and various AV/IT devices on one centralized command center, empowers administrators to manage multi-environment KVM and AV/IT deployments using a powerful web-enabled and common user-interface. It automates security management. Boxilla captures all the end points in the system and can detect if hackers are trying to break in. In addition, it quickly identifies refused login or unauthorized login attempts so users know if they are being targeted for hacking. It then correlates that information and gets it back to the administrator quickly and efficiently. If security is compromised, the right people will know it in real time, getting detailed information within about 90 seconds of the event. Performance Monitoring: It is easy to navigate centralized management, monitor frame per second rate, network latency, dropped frames, bandwidth usage, and user response times. It actively keeps logs of user connections reporting on who’s connected to whom. It also enables device management by providing information on things such as an overloaded network switch, bandwidth usage or device status to address potential problems before they happen. Additional background can be found here. InvisaPC bridges the gap between IP-based KVM extension/switching and access to virtual servers. The hardware-based InvisaPC offers plug-and-play connectivity with a receiver installed at each users’ workstation. As an extension and remote desktop solution for KVM, HD video and virtual desktops, this system provides remote access to physical or virtualized CPUs for real-time and high-bandwidth applications. NEW YORK – January 27, 2016 – The Association for Passive Optical LAN (APOLAN), a non-profit organization that drives the adoption and education about the advantages of passive optical local area networks, today announced its educational seminar showcasing the fundamentals and applications of fiber-based optical networks at BICSI Winter 2016 (booth 536) in Orlando, Florida. The two-day seminar will provide everything an industry professional will need to take advantage of the benefits passive optical LAN offers overcopper-based networks. Starting January 31, the two-day event will showcase a comprehensive view on passive optical LAN. This includes the technical best practices and hands-on design experience and installation guidelines for architecture, design and power considerations for passive optical LAN implementations. As part of the seminar curriculum, attendees will be able to earn BICSI continued education credits (CECs). · Simplify Network Design and Management – passive optical LAN has a centralized management and simplified architecture that enables easy automation of the LANs installation, initial provisioning, and everyday operations. Passive optical LAN also provides the ability to convergevideo, data, wireless access, and modern unified communication services at gigabit speeds over a single strand of fiber. · Lower Energy Consumption – passive optical LAN requires no power in the network and little cooling needs, reducing energy costs by up to 50 percent compared to copper-based LAN. · Increase Cost Savings – passive optical LAN requires significantly less equipment, space and power needs. All these factors significantly lower both capital and operational expenses. In conjunction with the BICSI conference, APOLAN will host three events on Tuesday February 2, 2016, at the Rosen Shingle Creek Resort & Convention Center Hotel, Lake Toho Room located opposite the Registration Desk, near the Fitness Center. · 10:30 am: Meet & greet tolearn more about APOLAN. This is open to anyone interested in learning more about the Association. Refreshments and canapés will be provided. · 11:00 am: Annual Meeting for APOLAN members. All members are encouraged to attend. · 12:00 pm: Board of Directors Meeting for board members and officers only. Stockholm, Sweden, November 25, 2015 – Net Insight, the leading provider of live, interactive and on-demand media transport, today announces that global communications service provider Tata Communications is Net Insight’s first customer to implement its truly live over-the-top (OTT) solution globally. The two companies have signed a framework agreement covering the use of Net Insight’s solution, which enables Tata Communications to integrate Net Insight’s solution in its Media Ecosystem, including its Video Connect service, underpinned by the company’s global network. This will allow Tata Communications to provide its media and entertainment customers with a range of live OTT content management and delivery services. Traditional OTT content delivery is not built for live OTT, as it is optimized for video on demand (VoD) and catch-up TV. Because of this, solutions are ill equipped for the delivery of live OTT with unpredictable delay and critical synchronization issues. They are unable to deliver multiscreen TV so that every viewer, using any device, experiences the exact same content at the same time. Net Insight’s live OTT solution enables customers to overcome live OTT challenges by harmonizing the 1st and 2nd screen. With unprecedented capability to synchronize multiscreen TV in real time, Net Insight paves the way for the monetization of the massive commercial value found in live content, such as major international sports events. In addition to synchronization, the 1st and 2nd screens will be integrated, enabling the 2nd screen to serve as an extension of the viewing experience and a tool for interactivity. The combination of synchronization and the integrated 2nd screen opens up significant business potential via viewer engagement with advertising; interactivity in gaming, truly live interactive betting, voting and polling, and as a device to interact via social media – all within the real-time TV viewing experience. Net Insight AB discloses the information provided herein pursuant to the Securities Market Act and/or the Financial Instruments Trading Act. The information was submitted for publication on November 25, 2015 at 08.30 CET.